The Swan River is the largest river, after the Blue River itself, in the Upper Blue region and the Swan River Ranch homes for sale is located near the confluence of these two rivers. 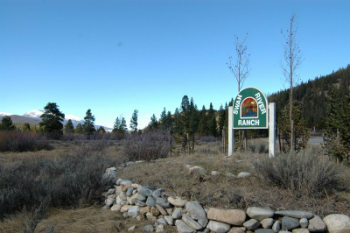 Swan River Ranch is a small subdivision of custom-built homes on large lots on the northside of Breckenridge, near the Breckenridge Golf Course. The neighborhood isn’t far from Highway 9, which runs between the center of Breckenridge and Frisco, and is paralleled by a paved bike path. The free, countywide bus stops on the highway near Swan River Ranch. Keep reading about the beautiful custom home styles found along the river, or discover active Swan River Ranch real estate listings below. Sorry, no results found matching your keywords. This location gives residents access to the rivers, of course, but also the Colorado Trail, a statewide hiking byway that parallels the Swan through national forest and Summit County open space lands. Public lands spread from this neighborhood as far as Keystone. The golf course is about one half mile away located on the southside of Tiger Road while Swan River Ranch is off to the north. Most of the homes in Swan River Ranch were built in the past ten years and are a mountain contemporary style. 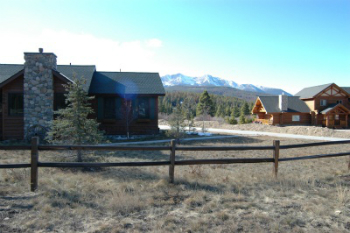 The neighborhood itself is built on land that was cleared during the mining era so there are few old trees, but the views are unobstructed to the Tenmile Range and the Continental Divide. This neighborhood is the farther west, nearer to Tiger Run, than the two other subdivisions that are called Swan River ‘something’ and also lie along this river. Size: 2918 sq. ft. to 6324 sq. ft.
From the traffic circle on the north side of Breckenridge, go north on Highway 9 for 3.5 mile, turn right on Tiger Road and Revette Drive will be on the left within a mile. Contact us by email, or by calling us at (970) 453-2200 to get more free information about Breckenridge real estate. Listing information last updated on April 19th, 2019 at 9:33pm MDT.